Massachusetts is looking to change the status quo of substance use prevention education by offering Project Here to every public middle school in the state. The app releases new curriculum for the 2018-19 school year which complements the educational toolkit which has been available since 2017. 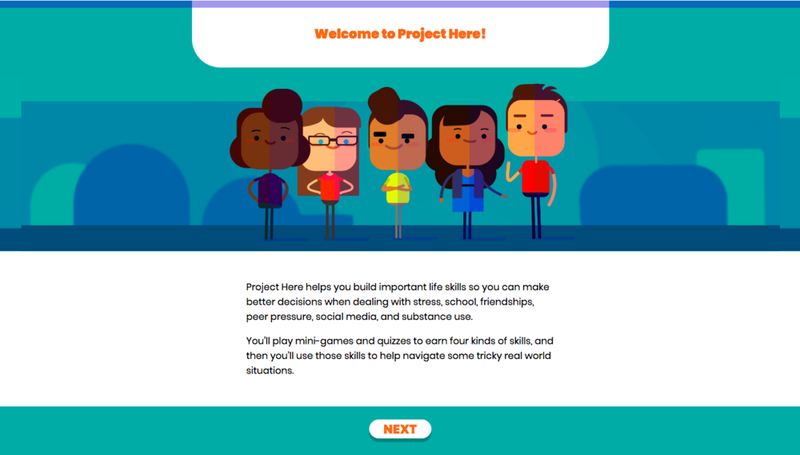 The team behind the Project Here initiative (the Massachusetts Attorney General’s Office, GE Foundation, Health Resources in Action) partnered with FableVision to create the interactive web application Project Here Games that promotes substance use prevention and healthy decision making through social emotional learning. 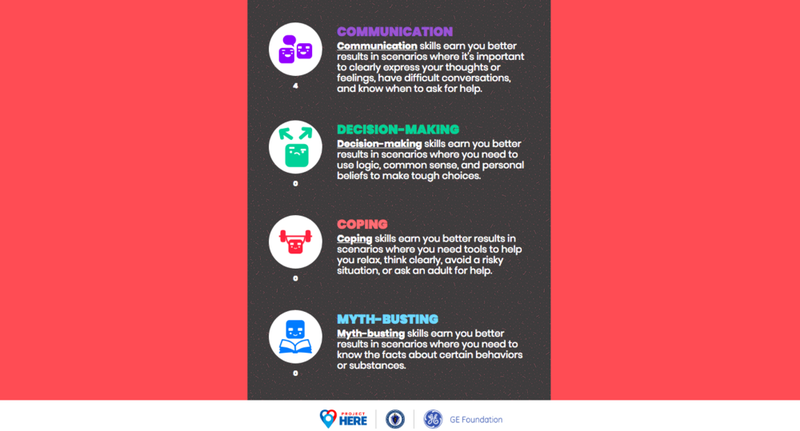 Players move back and forth between quizzes and scenario-based minigames to practice and apply critical social and emotional life skills such as mindfulness, standing up to peer pressure, managing stress, and effective communication. A custom backend tracks usage and saves players’ progress so they can pick up where they left off. 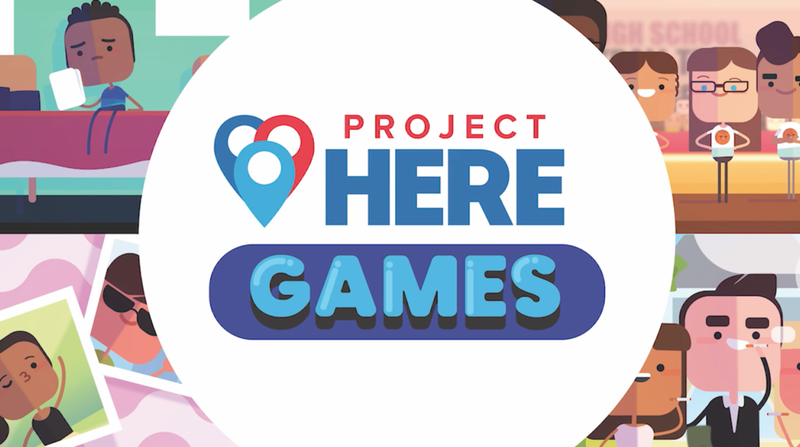 Project Here Games is accessible, and adheres to 508 and COPPA compliance standards. 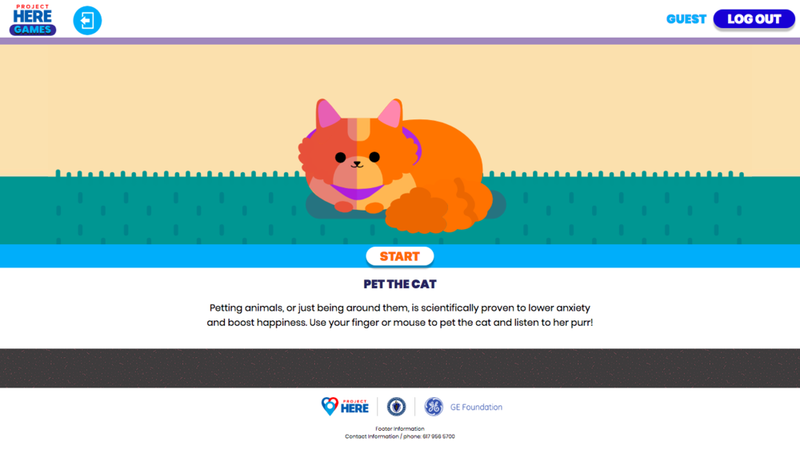 The app’s 18 total scenarios are meant to be broken up into 20-minute play sessions that can be either independent or collaborative, and can occur either at home or in the classroom.